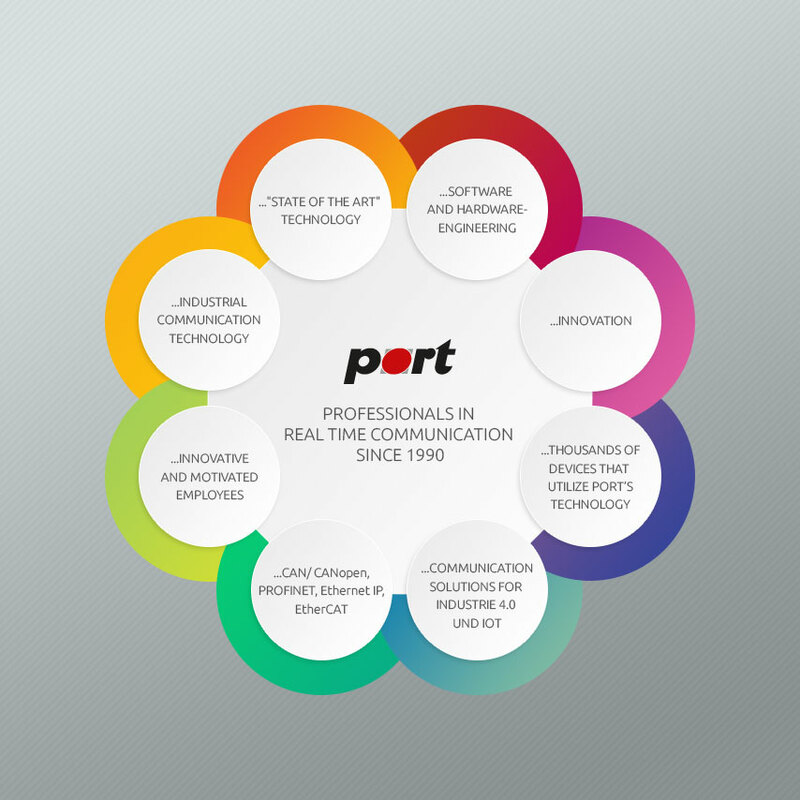 port GmbH industrial real time communication - What can we offer you? We have extended our spectrum and can offer you a complete and consistent selection of development tools, consultation, support, CAN accessories as well as the complete solution of your specific problem. The development, maintenance and the selling of CANopen devices are supported by port by a record of tools (see picture). Practical tools facilitate the work. The developers profit from the CANopen Design Tool with which they create the object directory. This flows into the application code and also indirectly into the CANopen library itself. After software integration the device can be tested with the commissioning tool CANopen Device Monitor and the message transfer can be recorded and interpreted with the CAN telegram analyser CAN-REport. The commissioning tool again uses the EDS file generated, in order to be able to represent all device parameters. The maintenance engineer likewise can use the CANopen Device Monitor and CAN-REport, in order to localize errors in network operation. Additionally the tools are interesting for the sales engineer. He is able to offer a broader range of products around his CANopen devices, that facilitate commissioning and error detection in CAN networks. Furthermore he will always have up-to-date documentation of the device available in a consistent EDS file.